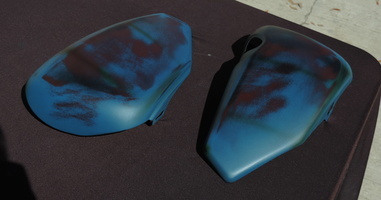 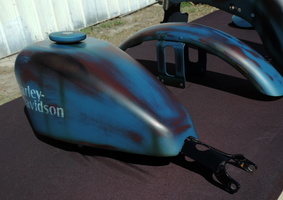 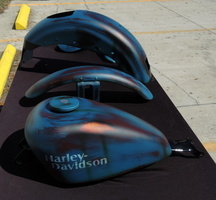 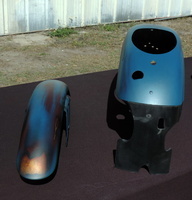 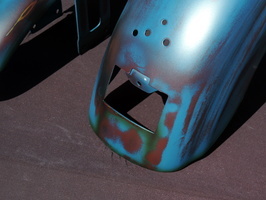 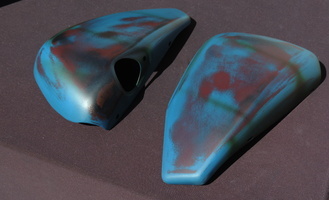 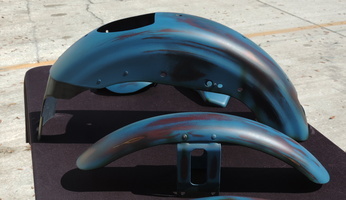 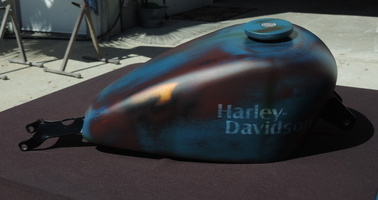 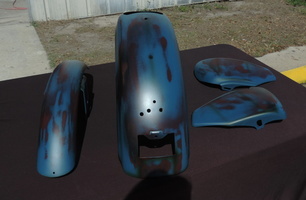 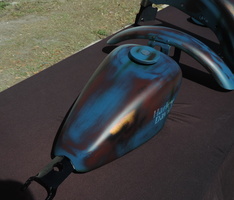 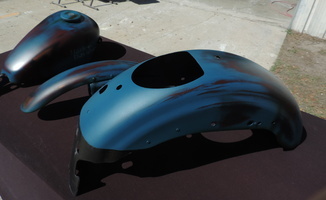 Sportster set was painted in a "distressed" paint theme using colors chosen by our customer - a light blue and red. 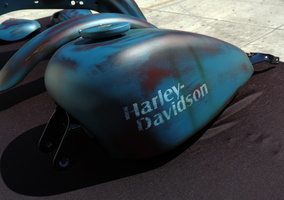 Harley Davidson lettering added and distressed as well as some "rust" airbrush work added to various areas of the paint job. 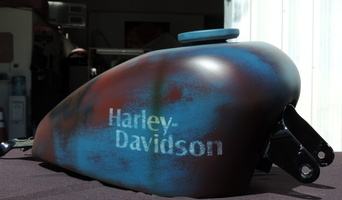 Very cool looking paint job!